The Lacrimarosa project is one of pursuit of perfection. The tradition of rosé production for the Mastroberardino family has deep roots. Since the 1950s, the late Antonio Mastroberardino had been making a Lacryma Christi del Vesuvio Rosé, a delicate wine with light amaranth hue from white vinification of Aglianico and Piedirosso grapes. Some years later, in the of the 1960s, thanks to rosé winemaking trials conducted in Irpinia, Antonio planned and started a new project: the creation of a great rosé from Irpinia with distinctive and exclusive characters. 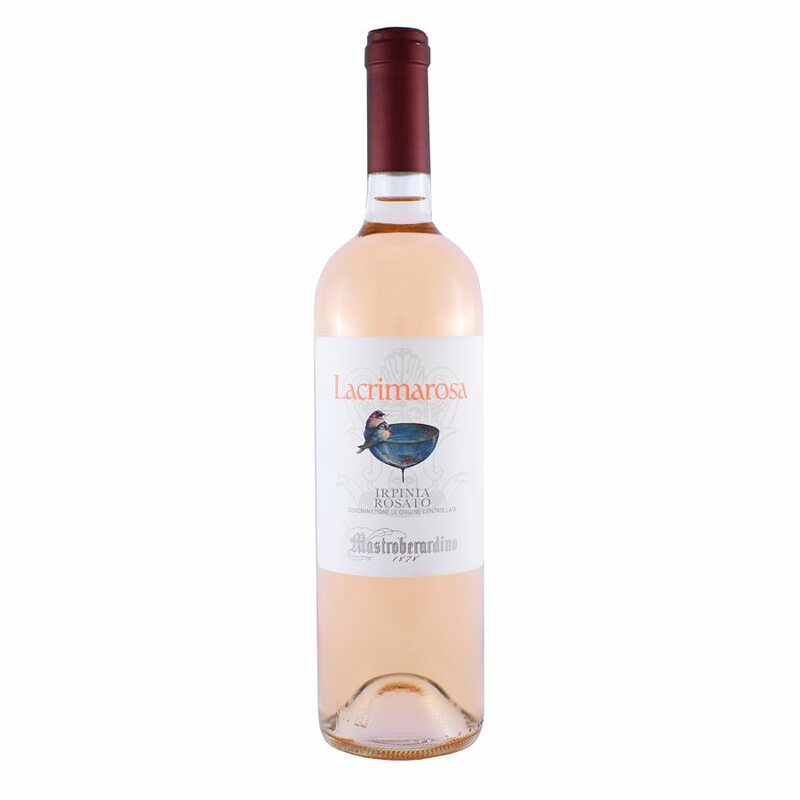 That was the origin of the name of the new rosé: Lacrimarosa. First, Antonio chose the grape Aglianico, the absolute King of the Campania appellation – noble and versatile, rich in tannins and structure. Then, he selected the soils, but made a revolutionary choice: he tested this strong red grape on soils classically considered suitable for white grapes. So the Lacrimarosa project took place in the Mastroberardino family estates of Lapio and Pietradefusi. Lapio is an elite territory for the production of Fiano di Avellino, while Pietradefusi is neighbouring to Montefusco where Greco di Tufo is classically produced: the two great white wines of Campania. These two estates gave birth to his great rosé of Aglianico: here the clay soils predispose the vineyard to a longer growing season, reducing the sensitivity to water stress of the summer. In this way the grapes obtained are characterised by an amazing aromatic fragrance. Even the vine’s trellising systems and vineyard management choices were special. On the one hand, the lower yielding density of the vineyards compared to the one used for the Taurasi’s Aglianico allows a lower concentration of tannins and higher freshness and aroma. On the other hand, by only moderately thinning the canopy leaves, typical in white grape vineyards, the grape bunches were exposed to less sun exposure and limited the production of tannins and colour, slowing down their ripening and development of polyphenols. All these steps were put in place with a definitive aim: training Aglianico for a great rosé with the characters of softness, intensity and aromatic freshness. The creation of Lacrimarosa required one more choice: winemaking. Antonio Mastroberardino had no doubt: his rosé was not like the others, it was not the result of grapes bleeding, the most common technique for rosé, consisting in taking a certain amount of grape must from the maceration tank during red wine production. The Lacrimarosa deserved a dedicated vinification, intended to preserve, respect and value the fruit of the vineyard: a rosé vinification. The choice was to use the prime must, the first grape juice or ‘free run’ juice. A soft pressure on the grape that limits contact of the must with the skins, in order to slightly colour the juice and produce a naturally pink wine. Even the choice of yeasts declared ‘no compromise’! No shortcuts, no betrayal of the terroir. Antonio rejected easily obtained perfumes which can be obtained by cultured yeasts, which, whilst seductive scents, he deemed ‘devious’ and unstable over time. The only way was to seek natural yeasts. Extensive evaluation of the vineyards allowed Antonio to find a yeast with excellent and exclusive fermentation qualities in his Pietradefusi vineyard. This yeast exalts and emphasises the identity of Lacrimarosa, definitively expressing the varietal characteristics and supports their stability during the wine’s evolution. Over the decades, the Lacrimosa project has remained consistent with its original intention.